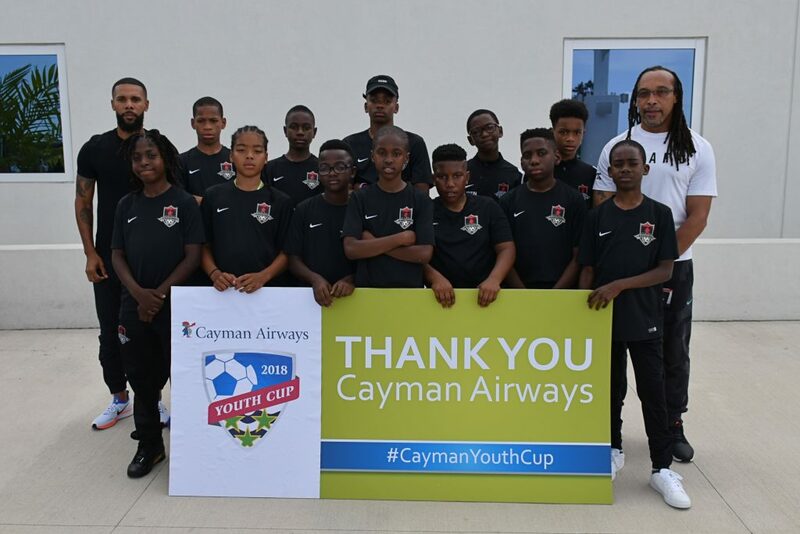 More than 180 rising football stars will showcase their skills on the pitch at the 2018 Cayman Airways Under-13 Youth Cup hosted by Academy Sports Club. The 25 to 30 June tournament will feature three local teams facing opposition from Jamaica and the United States. Local players will suit up for the Academy SC Elite, Academy SC Select, and Future Sports Club Select teams. The visiting teams are: Central Brooklyn and City Soccer Pro from New York; as well as Cavalier Soccer Club, Harbour View Football Club, Mount Pleasant Academy, and Phoenix All Stars Academy from Jamaica. 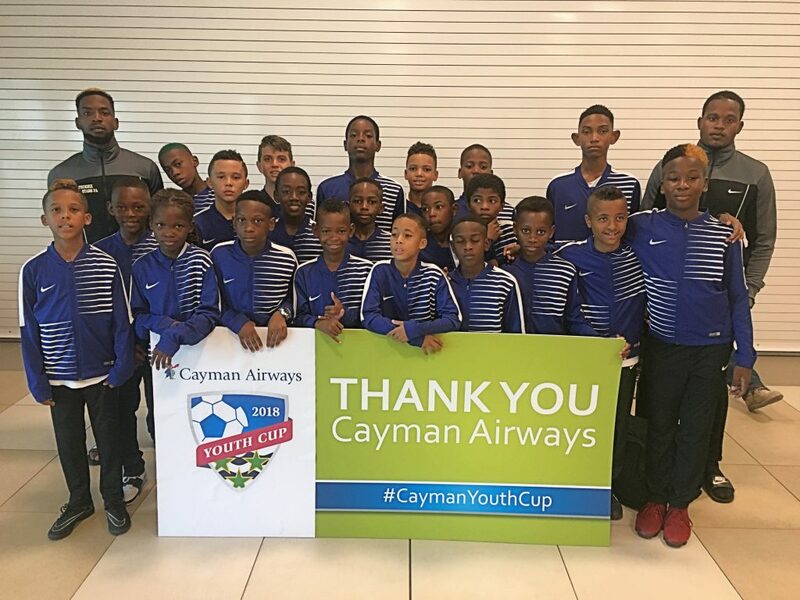 Phoenix All Stars were the first team to arrive in Grand Cayman for the 2018 Cayman Airways U13 Youth Cup. The tournament has the potential for a showdown between the reigning Jamaica Under-13 champions from Mt Pleasant Academy and the Cayman Islands Under-13 champions from Academy Sports Club. The six-day tournament will have matches being played in Grand Cayman at Truman Bodden Sports Complex with games kicking off at 3:00 p.m., 4:45 p.m., 6:30 p.m. and 8:15 p.m. Monday through Thursday for the group stages. The semi-finals begin at 6:30 p.m. on Friday and Saturday will see the 3rd-place playoff starting at 5:00 p.m. with the championship match scheduled for 8:15 p.m.
Central Brooklyn Soccer Club from New York is one of six overseas teams participating in the tournament. National airline, Cayman Airways Ltd., has returned as title sponsor to continue its support of local football. “It is an honour for Cayman Airways to sponsor and support sporting initiatives such as these. We hope that the tournament promotes Cayman as a destination for sports tourism, serves as a platform to provide elite, international experience for our home-grown talent, and inspires many more to partake in sport,” said Fabian Whorms, the airline’s president and CEO. Also supporting the tournament is the Cayman Islands Government through the Ministry of District Administration, Tourism and Transport, as well as the Ministry of Education, Youth, Sports, Agriculture and Lands. Other sponsors include McAlpine, Crighton Properties, Tower, Excel Sports Management, CINICO and the Cayman Islands Football Association.